A thermometer for an RS232. Measurement range from -55°C to +125°C. A direct text output of the temperature value in °C (ASCII) no conversion is needed. No external power supply is needed. Low price. 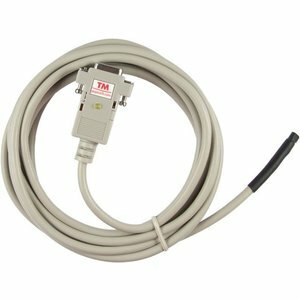 The TM digital temperature sensor makes the easy measurement of temperature possible and allows transmission of the measured data to a PC. The data are transmitted in a simple ASCII protocol, within which the temperature values are given directly in degrees Celsius (°C). 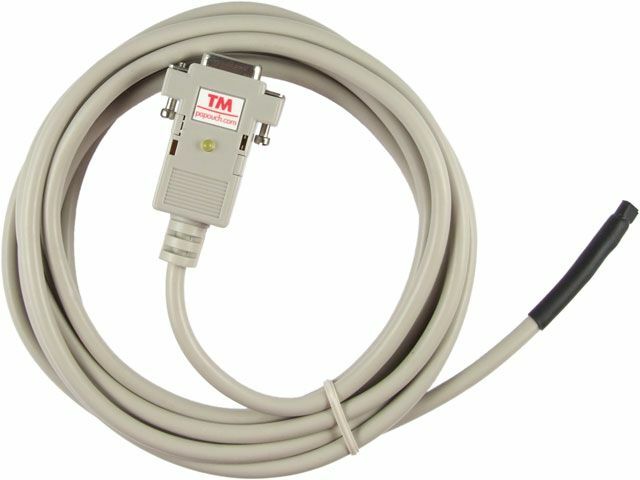 The sensor is connected to a PC via a standard RS232 serial port. The accuracy of this sensor is ±0.5 °C within temperature range from –10 °C to +85 °C; the measurable range is from –55 °C to +125 °C. The measurable range is from –55 °C to +125 °C, with a 0.1 °C resolution.